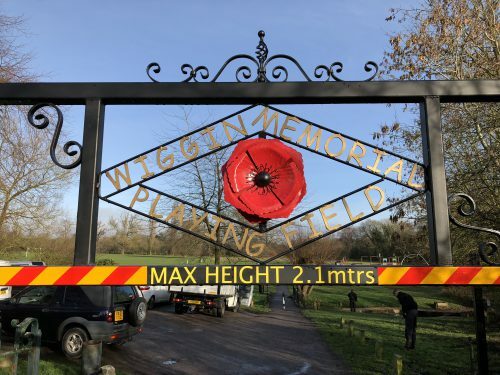 The barrier was installed at the playing fields’ entrance in November, meaning the gates did not have to be kept locked to deter traveller incursions. Emergency services were given the access code to open it. However, an ambulance called to Meadow Lane in January was unable to turn around at the bottom of the lane, partly because the driver did not have the code. “This provoked a storm on Facebook, based on misunderstandings,” parish chairman Andy Humphries told colleagues. He added that the council had spoken to the ambulance service to ensure all properties on Meadow Lane were “flagged” to show they required a code, and would also contact the fire service and police. Having voted in December to keep the barrier closed, councillors requested another debate to decide whether or not to give the code to residents – as recommended by the council’s Youth, Sport and Recreation committee. There were suggestions that a small group of “responsible” residents could hold the code, but some councillors were concerned that it could be abused by people using it for regular shopping deliveries. Coun Humphries said he was looking into installing extra signage, and that the response from Highways had been positive. Councillors eventually voted 6–5 to give out the code upon request, subject to conditions. The council has informed residents of the plan.